1.- Any person over 16 and of any nationality can participate in the contest. The works will be submitted in Castilian Spanish, they must be original and may not have received awards in other contests. The maximum extension of each story will consist of 3 DINA4 sheets and must be sent in triplicate. The theme of the contest will be the Camino de Santiago (experiences, day by day, stories, customs, etc.). Each participant can send one or two works on condition that they are forwarded separately. 2.- All the works submitted will bear a title and a pseudonym and will be accompanied by a closed envelope whose exterior will show the title and the pseudonym; the interior will show the personal data of the author, his address, telephone number and email address..
3.- The works may be sent between July 15 and September 30, 2017, by post or a courier agency, to the following address: Concurso de Relatos. Asociación de Amigos del Camino de Santiago Mozárabe Sanabrés, Carretera Nacional 525, km 49, 49326 Rionegro del Puente, Zamora (España-Spain). They may also be delivered personally at the Pilgrim Hostal of Rionegro del Puente. It is not allowed to compete by email. 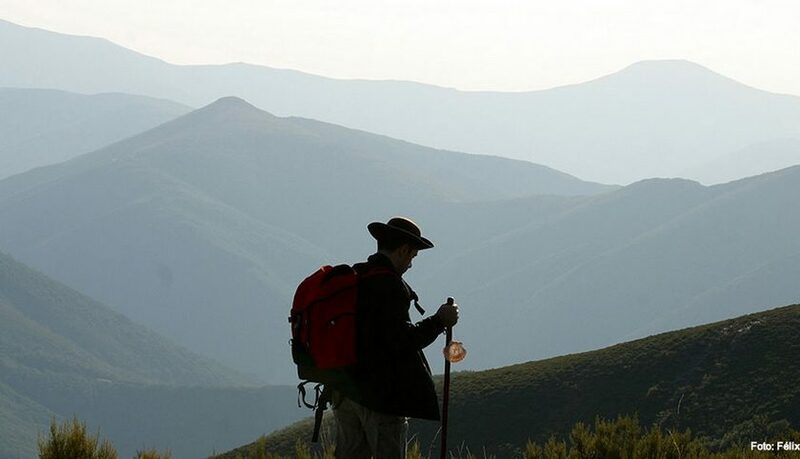 4.- PRIZES: a JURY APPOINTED BY THE Association of Friends of the Camino de Santiago Mozárabe Sanabrés, will evaluate all the works submitted and will select the two best stories. First Prize: 200 euros, a commemorative plaque, a diploma, a batch of books and gifts. Second Prize: 100 euros, a commemorative plaque, a diploma, a batch of books and gifts. The works awarded may be published jointly by the organisation for the development of the Camino de Santiago. PRESENTATION OF AWARDS. This will be held in the Virgen de la Carballeda Pilgrim Hostel, of Rionegro del Puente, on Saturday December 2, 2017. If any of the prize winners cannot attend, the prize will be sent to him. 5.- The fact that a person presents himself to this contest, supposes the acceptance of the bases. All communications with the organisation will be by post or by email. Telephone calls are not admitted.